February is finally here ,trust me ‘winter’s approaching’ type feeling is much better than winter is leaving . Yes , if winter comes spring certainly can not stay behind . But for a person who frequently switches between Kolkata and Delhi know that when spring comes,summer is certainly not staying behind .Kolkata’s humidity and Delhi’s loo yeah summer is nightmare indeed.I am not yet over with “fall “ shades but yes flowery spring shades rather summer shades are the purest form of relief .Yes, I am talking about lipstick again . Hahahaha what else can a lipstick addict like me talk about . 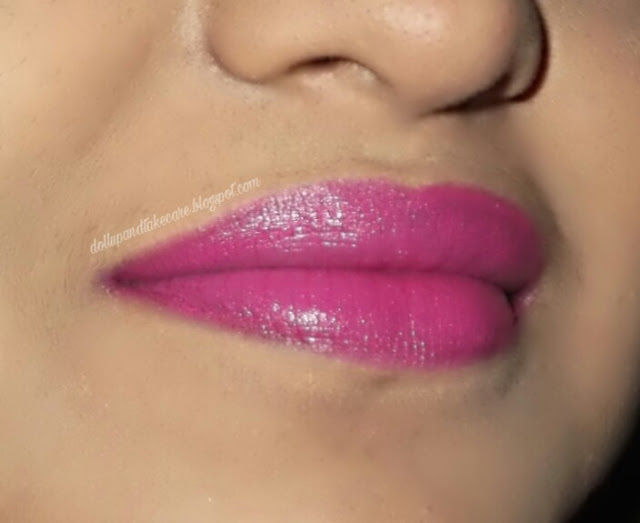 The good news for my Pinkaholic dolls is , todays I am going to tell you all about a lipstick that comes with a very sweet name ,guess what “ Sweet Pink”. Nyx cosmetics Mat Rouge e Levres lipstick in shade “Sweet Pink” is a fabulous Pink lipstick with insane pigmentation and incredible formula. The tube is a plastic one with transparent plastic in the middle , from which the color of the bullet is visible .Honestly i am not really adventurous enough to try dropping the lipstick from hands just to check it’s sturdy nature . But it’s plastic packaging does’nt look much sturdy. 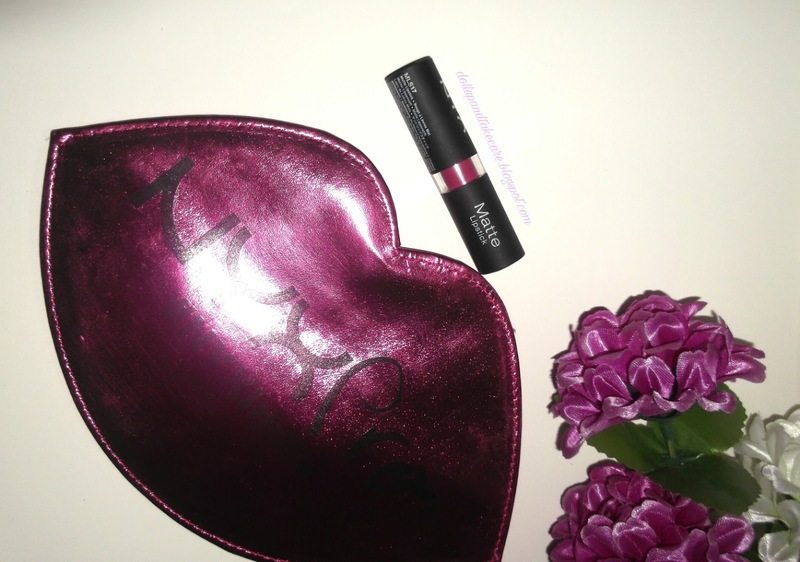 The shade name is not printed on the tube, shade number MLS17 is printed on top of the cap as well as bottom of the tube. 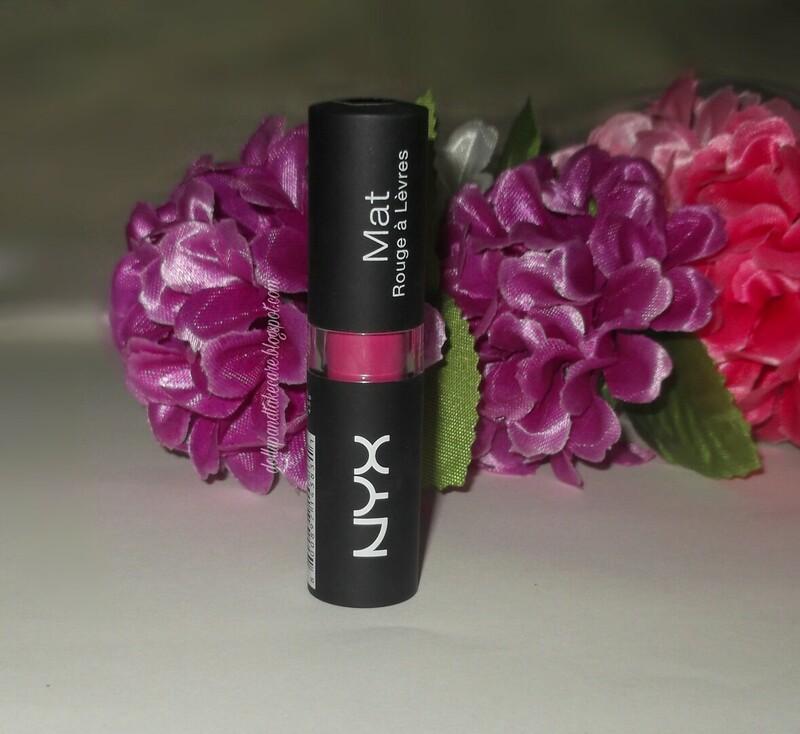 I am not someone who loves dehydrating matte lipsticks much .This lipstick is basically a moisturizing matte lipstick. The texture is super soft and easy gliding . 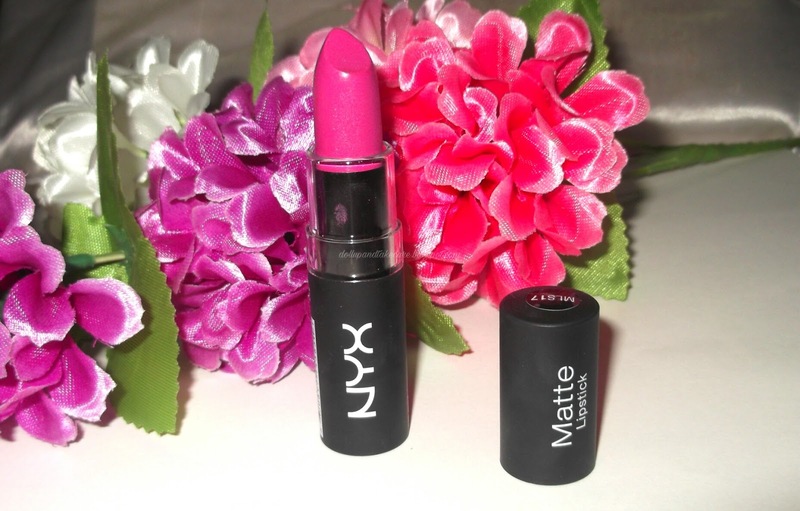 This lovely lippie is devoid of any strong fragrance ,I love this thing . I have a strong dislike for strong smelling makeup . 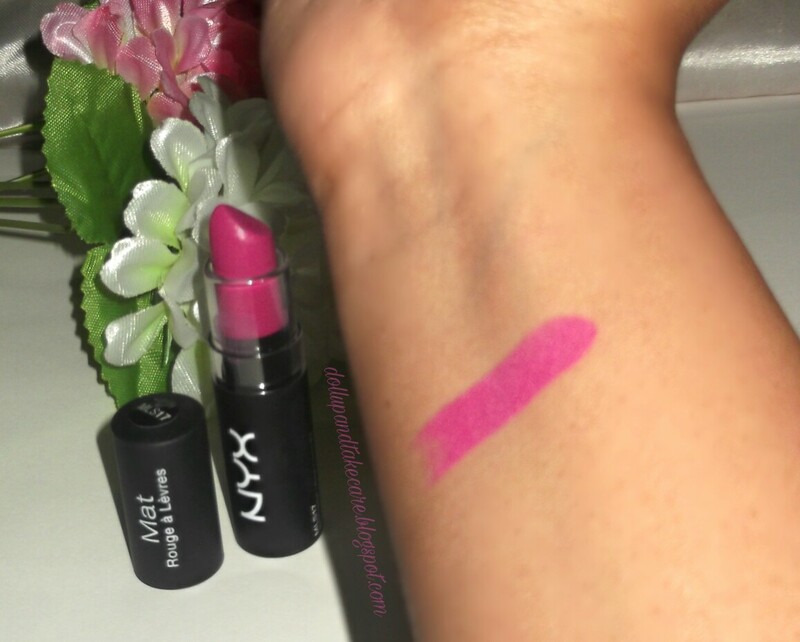 Pigmentation is insane indeed.This easy gliding insanely pigmented lipstick looks good on nearly everyone . 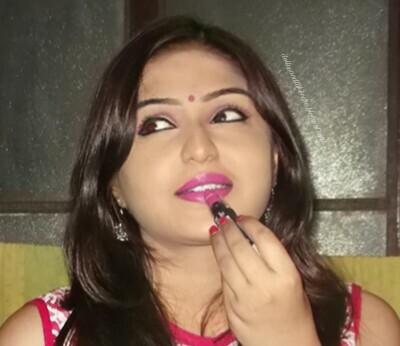 I am neither milk-fair nor dusky this lipstick suits me and nearly all kind of indian complection . The color is absolutely a sweet pink shade with blue undertone. 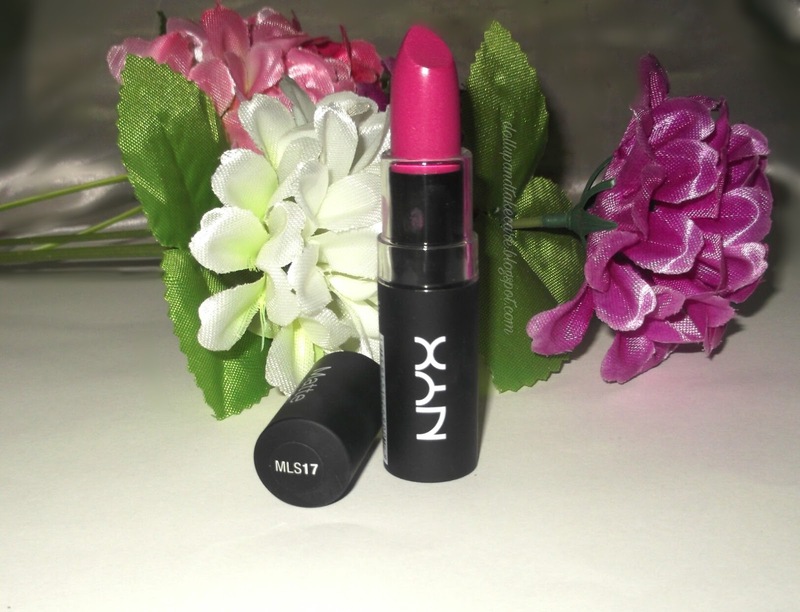 This sweet pink with purplish inclination is a lovely color that suits indian skin and indian occasions as well. If not pocket friendly, it is affordable. Pigmentation and staying power both can be rated awesome . Shade name is not mention only shade number is printed .